Sonoma goes to overtime to take home a 13-12 victory over the Golden Gophers. Sonoma State Gets Hard Fought Win, 10-7. 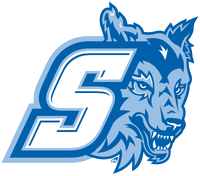 Sonoma State earns a victory over Southern Methodist 18-8. Interested in Becoming a Seawolf? Come play for an MCLA National Champion and compete for in one of the top conferences in the MCLA!